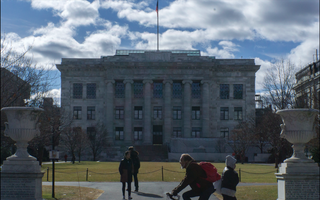 Harvard’s School of Public Health raised $933 million total in its capital campaign, school officials announced at a campaign celebration Friday. Donors, administrators, and alumni packed into a tent in the school’s Kresge Courtyard for Friday’s celebration, which marked the culmination of a campaign that began quietly seven years ago. School of Public Health Dean Michelle A. Williams opened the event and led a panel discussion between four former deans of the school. Julio Frenk, who served as dean between 2009 and 2015 and now serves as the president of the University of Miami, described the financial difficulties the school faced in the aftermath of the 2008 financial crisis. With hundreds of millions in its coffers, he said, the school is now on stronger financial footing. After the panel discussion, Jonathan Lavine — the co-managing partner of Bain Capital who co-chaired the campaign with his wife, Jeannie Lavine '88 — took the podium to announce the campaign had raised $933 million from around 13,000 gifts. “I was sort of hoping that there’s a $67 million gift in the room so that we could round it up,” Lavine joked after stating the total. The school will be able to establish 12 new professorships as a result of the donations from the capital campaign, which will also go toward initiatives like financial aid, Lavine said. Donations came from all 50 states and 62 countries. Lavine then introduced University President Lawrence S. Bacow, who used to teach summer courses on environmental health and management at the School of Public Health. 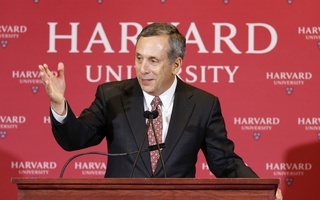 Bacow emphasized what he sees as the broader societal impacts of research at the school. “Everyone benefits when we uncover the human cost of climate change and shed light on the realities of gun violence. What happens here is not just public health; it is public service,” Bacow said. He added that the school’s work regularly saves lives. 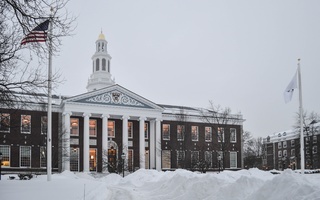 Roughly 40 percent of the capital campaign haul came from a $350 million donation by Gerald Chan, prompting Harvard to rename the school after his father, T.H. Chan. The event included several video messages from individuals including Massachusetts Governor Charles D. Baker ’79 and Harvey V. Fineberg ’67, a former dean of the School of Public Health. Both thanked Gerald Chan by name for his donation. The School of Public Health’s campaign formed part of the University’s record-breaking capital campaign, which raised a total of $9.6 billion, administrators announced last week. 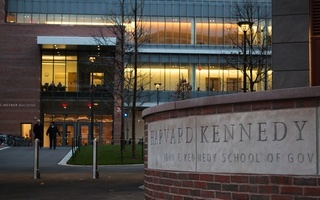 Several other Harvard schools, including the Kennedy School, have also announced fundraising totals well in excess of their goals. 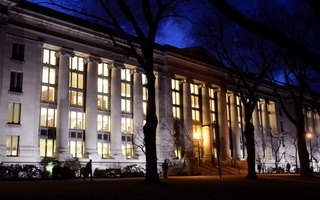 A previous version of this article incorrectly stated that Harvard Medical School had not formally publicized its final capital campaign total at the time of publication. In fact, the school had posted its final fundraising total on its website.